Roxboro Community Center: Bringing Out Your Best! Join a local community of like-minded individuals from all walks of life focused on health, wellness, balanced living and family. The power of any martial arts system does not come from the punches, kicks and blocks learned during class. It’s rather the life skills and personal development required to master the art. Building a strong work ethic, perseverance, honesty, self-respect and calm in the face of adversity are just a few of them. The programs are built based on millenia of wisdom passed along from generation to generation. They are created to help you become the best version of yourself and transform your life. Committed to making a difference in our community for over three decades. The Roxboro Community Center has been open for over 30 years with a sole mission. To bring the best out in each one of our members by promoting the key values of health, wellness, balance and family through martial arts programs and day camps. 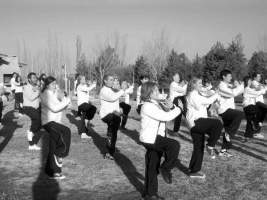 The center is lead by Master Sergio Arione, a 30 time gold medalist in Tai Chi and Kung Fu and Chi Kung instructor. He is also the recipient of the 2012 Queen Diamond Jubilee Award and more recently the recipient of the Canada 150 Community Service Award. Improve your health and fitness through tailored programs and get support to stay on track. Supporting you in making the right choices towards a more healthy and fulfilling life. Better control over the events in your life by focusing on good habits and a positive outlook. 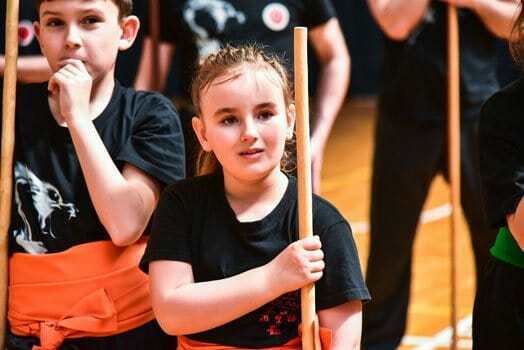 Join activities for the whole family that encourage honesty, self-esteem, kindness and work ethic. If you have any questions about the center or our programs and want to speak with one of our teachers you can reach us by phone, email or in person.